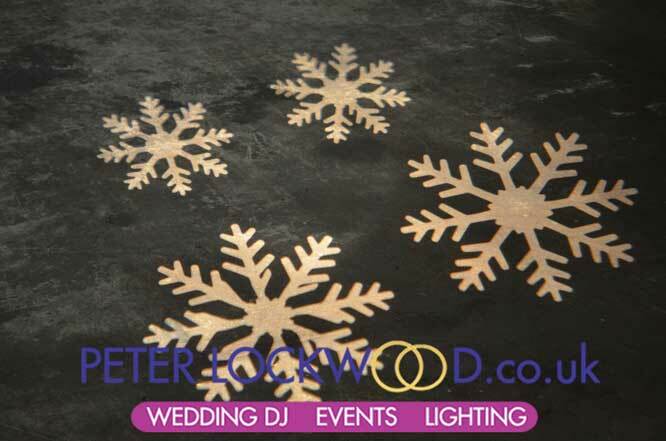 Imagine snowflakes cascading throughout the room at your Winter Wonderland Wedding.Your guests can be greeted with twirling white snowflakes projected onto the room’s floor or ceiling. 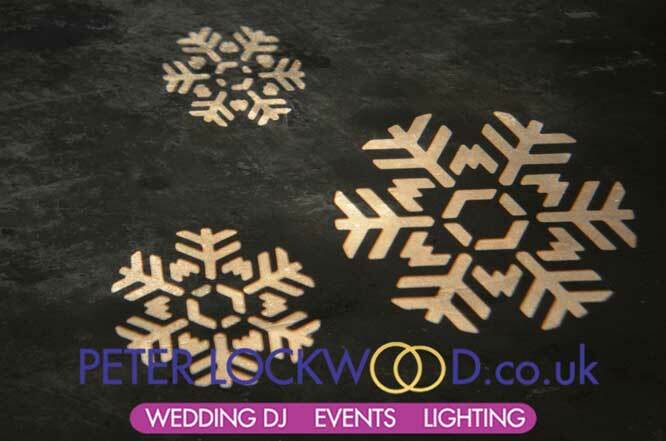 Pictures and a video of my snowflake lights in action can be seen here. A few pictures taken on my unit floor,they will look a lot better in a nice setting. 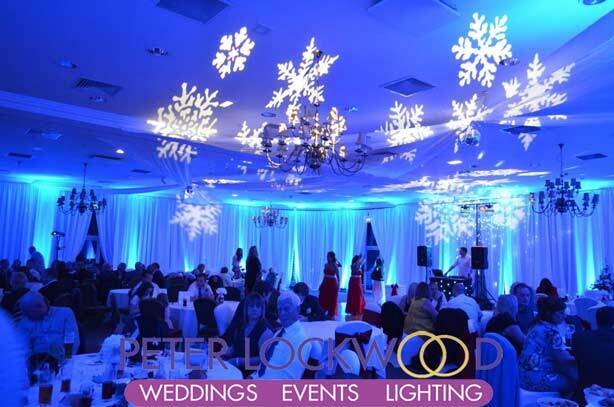 Snowflakes will look fantastic on walls that have blue uplighting on them I can also tint the colour of the snowflakes to your colour scheme. 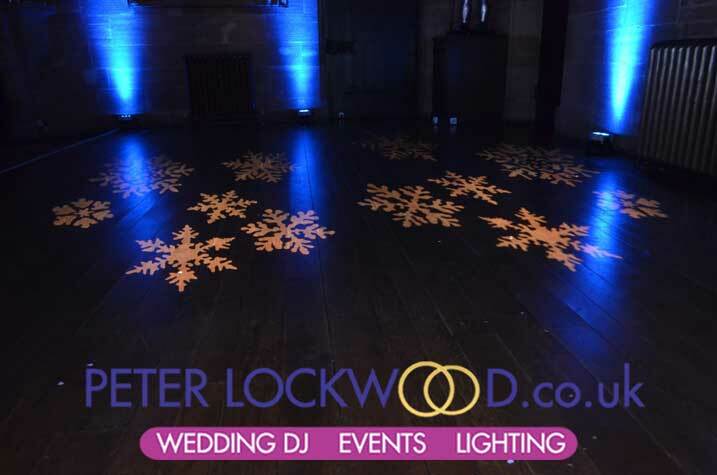 Peter supplied us with some festoon lighting for our wedding at Victoria Warehouse in December 2017 and we couldn’t have been happier with his work – everything was done without fuss or issue, we just turned up and it was all perfectly supplied and fitted. As he works so closely with Victoria Warehouse, he dealt with the directly, which saved us the job of arranging everything. Thank you Peter, we loved the final look. Jazmin & Liam. Peter provided the lighting for our wedding at the Gathering in Edale. It was perfect and truly magical. Peter was so helpful throughout and worked so hard the day before in the pouring rain to make sure we had a wonderful day. We can’t recommended more highly. Tabatha and Jonathan. 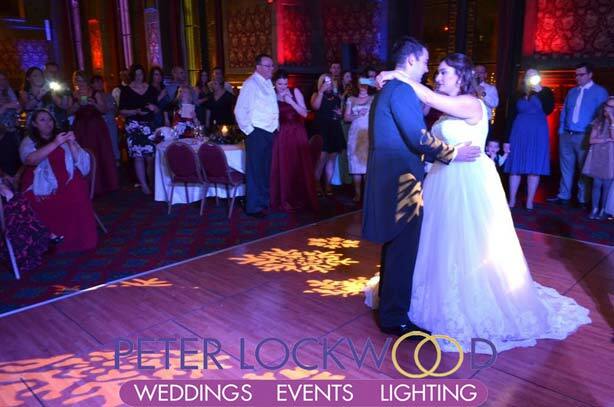 Peter did the lights for our wedding on 23rd March 18 at Victoria Warehouse,what can I say highly recommend he communicate great and the lights looked amazing the venue would not be the same without them. 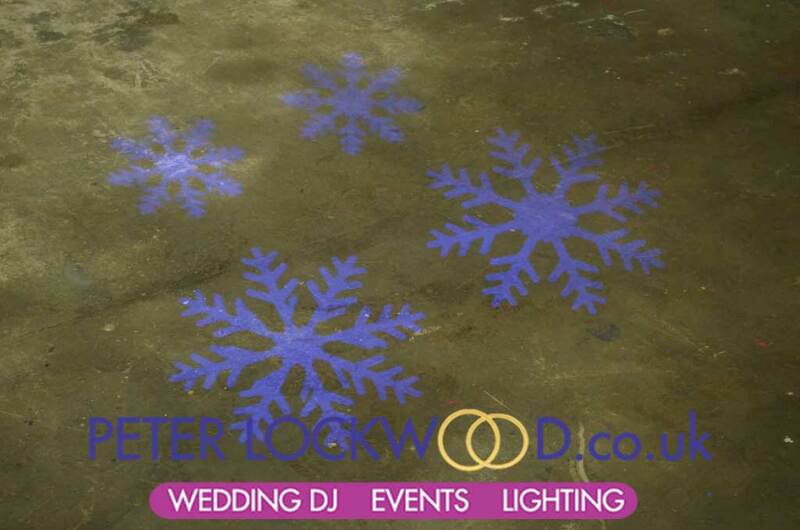 If your looking for someone to get the job done and for your venue to look amazing please get in touch with him. 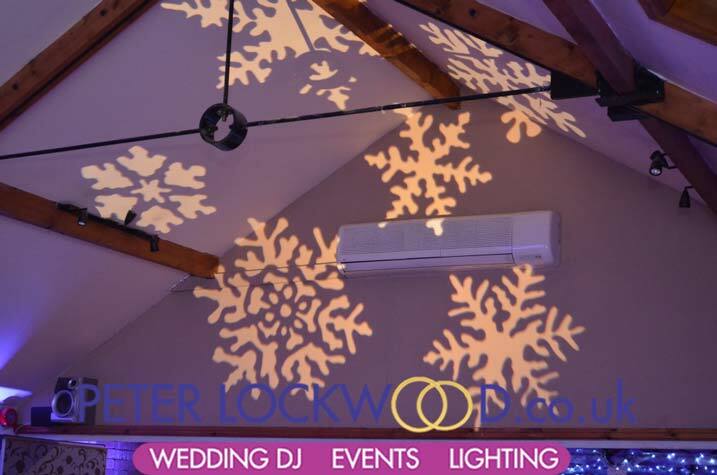 Peter supplied lighting for our wedding at the White hart Inn, Lydgate. He couldn’t have been more of a pleasure to work with and made our room look so beautiful. He was by far the easiest wedding contractor we dealt with, we literally just got in touch with him, paid him then just enjoyed the lights. I wouldn’t hesitate to recommend him to anyone. 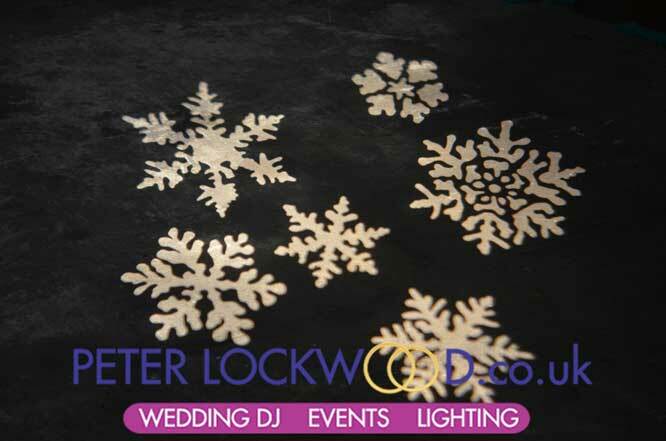 We are made up with Peter and his festoon lighting. He was really easy to communicate with in the build up. The lighting looked great on the day, cheers!